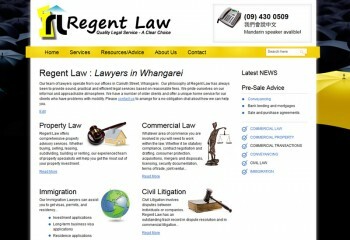 Our team of lawyers operate from our offices in Carruth Street, Whangarei. Our philosophy at Regent Law has always been to provide sound, practical and efficient legal services based on reasonable fees. We pride ourselves on our informal and approachable atmosphere. We have a number of older clients and offer a unique home service for our clients who have problems with mobility. Please contact us to arrange for a no-obligation chat about how we can help you.